Twenty-six students are sitting in your classroom. Seven of them are bored with the current topic because they know it extremely well. 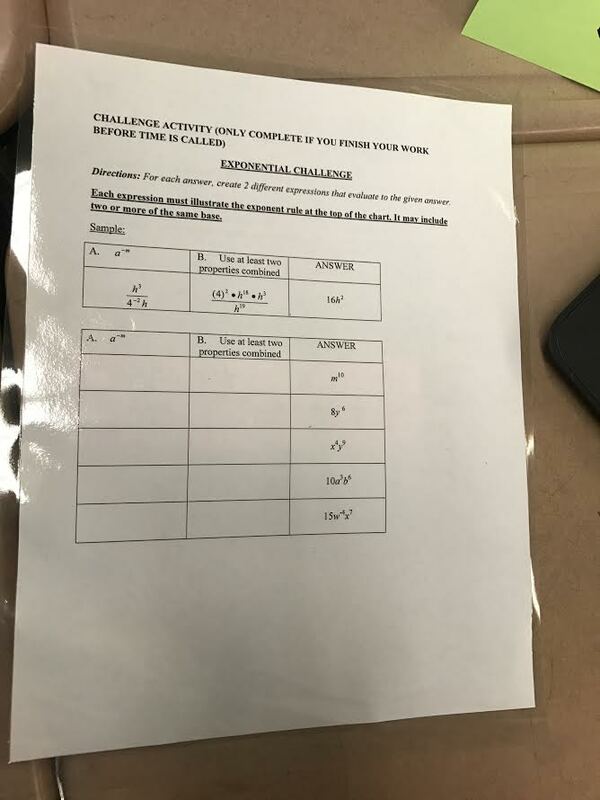 Four students were absent yesterday and need to actually learn the content. Eight students are showing improvement, but still need a lot of extra practice before they master the topic. The rest of the students are doing well, but could benefit from one extra day practicing. How do you provide support to meet the needs of all these children when you are the only teacher in the room?? The above scenario is a situation that many teachers face almost daily. We have one strong resource today that teachers in the past did not: digital technology. Not only do we have the opportunity to download hundreds of resources, but we also have a chance to finally be in two places at once. So how is this possible? 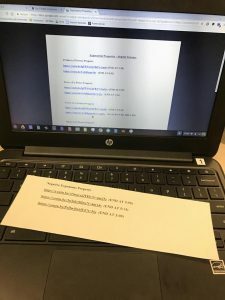 One idea would be to bring the flipped content, which would normally be covered at home, into the classroom, which is sometimes called the “in-flip”. The in-flip can be set up in multiple different ways depending on the learning environment. 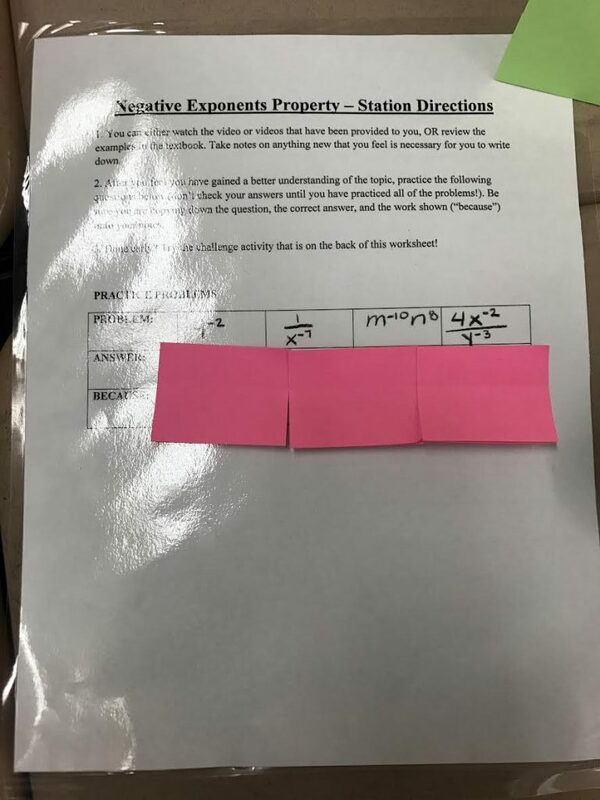 This station would be created for students who are ready to move on to the next step in their learning; they have demonstrated mastery of the content and are ready to expand upon their understanding. Students would be provided with enriching activities that would allow them to apply their learning to higher-order thinking tasks. This specific station would be designated for students who are not yet ready for the challenge, but who also do not need any re-teaching with the topic. Students would be provided basic problems or application questions to work on individually or with a peer. There may also be hands-on activities for students to use while practicing the skill. 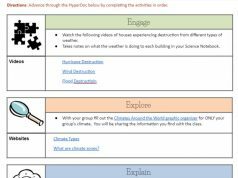 This station provides a chance for students to review or learn the content. Students would watch a flipped lesson or otherwise preview learning materials to prepare themselves to move on to the next station. This is the station where the in-flip would take place. Time management is a major consideration for running these stations. It is important that students gain the greatest benefit at each station, without becoming bored of the task. My strategy is to set a timer on my SmartBoard for students to see how much time remains for each station. However, I also allow flexible movement between groups if necessary. Basically, if a student feels that they are ready to move to the next station, I will ask a few questions to ensure that student is ready to move. If they can answer successfully with little to no thinking time, that student is able to move. If the student hesitates to answer, then I provide feedback and prompt them to remain practicing at that station. 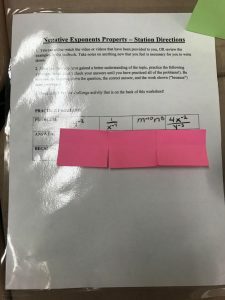 Making certain that students are not only appropriately placed within groups, but that they are also moving when necessary, will keep them engaged during the station work. Setting up these stations gives teachers the opportunity to work with more students in a one-to-one capacity. Not only are students being provided with personalized learning experiences, but they have more access to the teacher. Without the in-flip, the teacher would not have as much freedom to work with students directly in this situation, and would likely be spending most of their time working with one specific group. Imagine the learning benefits in a classroom where students are not only provided with personalized learning and the ability to relearn the content, but also have more teacher time for feedback and questions. That is the success of an in-flip classroom. Stephanie is currently the math specialist in the Clinton Public School district in Clinton, Connecticut. 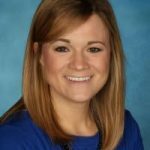 She has been flipping her classroom since 2014, and continues to research best practices in a flipped classroom setting. Stephanie is a Flipped Learning Global Initiative certified trainer and teacher, as well as a flipped planning specialist. 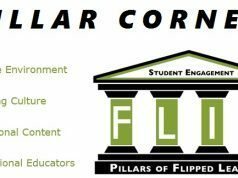 She will be presenting at FlipTech New England this summer on how to use flexible grouping with the in-flip! You can tweet Stephanie @squarato27 or view her blog for more information at squarato27.edublogs.org.